Candy apples are the perfect treats to enjoy when fall rolls around. 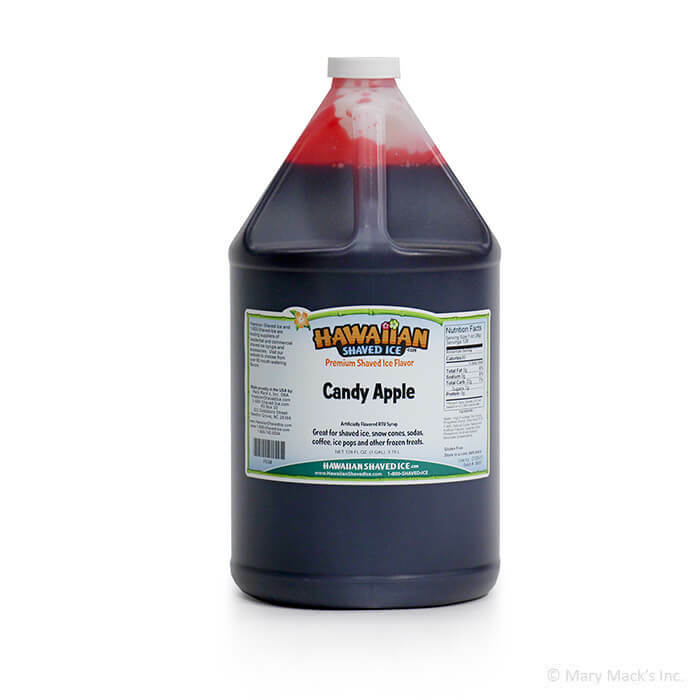 One taste of Hawaiian Shaved Ice�s candy apple snow cone syrup will have you wishing it was the fall season! With just a hint of candied cinnamon, you will feel like you�re wandering around the county fair with this yummy shaved ice treat. All ages will love this sweet candy apple sno cone; bring back the nostalgia of fair rides and attractions when you take a bite out of this snow cone. 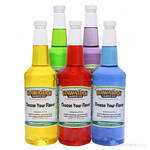 Enjoy the fair treats without smelling like a petting zoo! Buy a gallon of candy apple shaved ice syrup today and give everyone that fall fair experience, in your backyard! Never miss out on your favorite treat again. 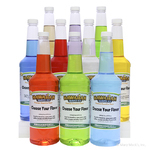 This flavor is also available in a quart size, or it can be combined in an assorted package with other great flavors from Hawaiian Shaved Ice!